Little Mouse on the Prairie by Stephen Cosgrove, illustrated by Robin James. My family became big-time Serendipity book collectors. We had stacks of these books. Each one featured gorgeous illustrations and a neat little moral. Time passed, my godparents died, and we grew older. At some point, we moved. And some of the books have been located, but most have not. And it's true, some of them probably fell apart, as we had a tendency to read them over and over again. When I started working at a bookstore in 2000, I tried to order and replace several of my beloved Serendipity books. There were reprints. 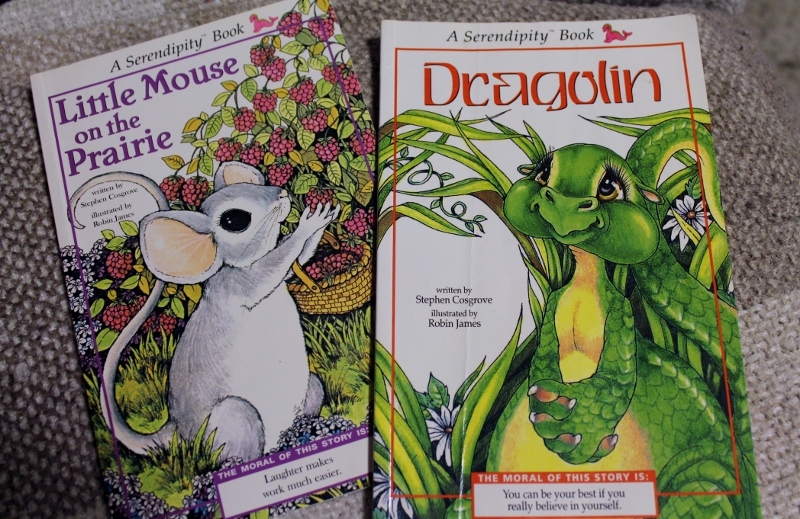 I was able to replace Little Mouse on the Prairie and Dragolin. Both Stephen Cosgrove, the author of the Serendipity books, and the illustrator, Robin James, have websites. Robin James has an EStore for collectors. There are quite a few titles available through used book sites, such as Better World Books, as well as Amazon and Barnes & Noble. Leo the Lop, Tail Three. 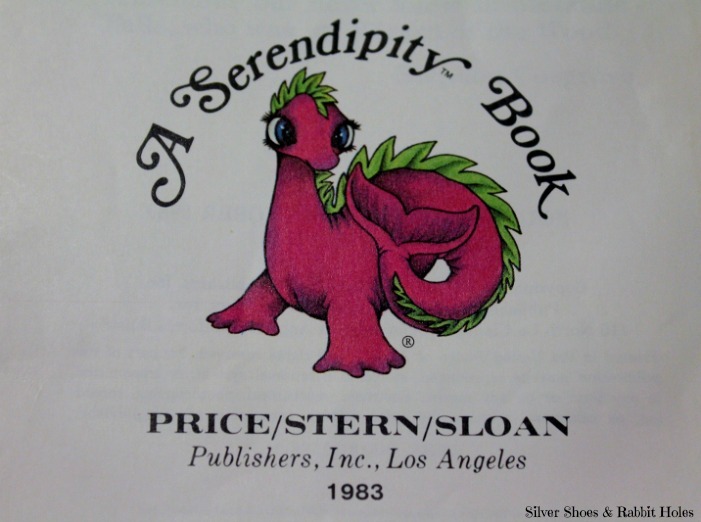 Price Stern Sloan, 1986. Tee-Tee. Price Stern Sloan, 1983. Grampa-Lop. Price Stern Sloan, 1981. The moral was always stated in verse on the last page. Pish-Posh. Price Stern Sloan, 1986. 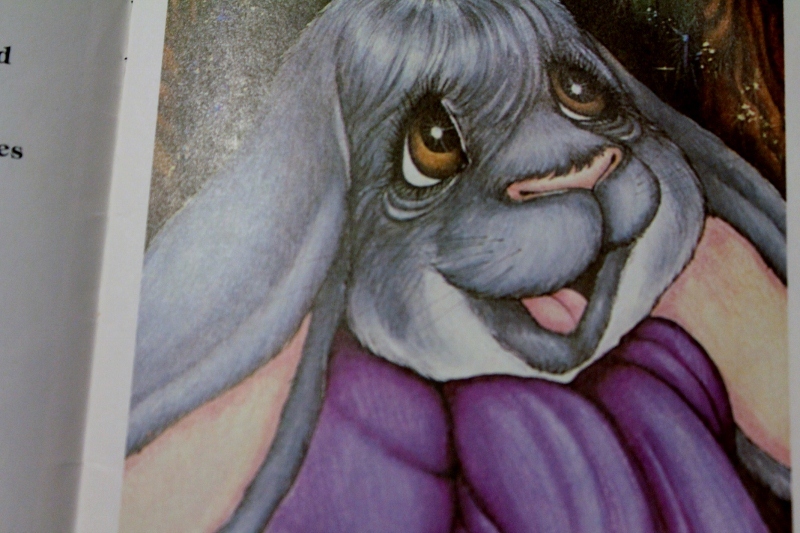 By the way, my favorite was Grampa-Lop, followed by the first Leo the Lop. When I was nine, my sister and I both got French lop bunnies, Pierre (mine) and Nicole (my sister's). They grew to be gigantic creatures that chewed through their hutch and made their grand escape into our suburban neighborhood four years later. Au revoir. While researching the books a bit, I discovered that the first book, Serendipity, was made into a Japanese anime in 1983! Serendipity the Pink Dragon was dubbed into English and released on home video in 1989. I haven't watched it yet, but someone has put it on YouTube. Just when I begin to regret living in the internet age, I find lost childhood treasures I never even knew existed. Thanks, internet. "It was serendipitous that you found that." I don't think I've ever seen these before! I remember always wanting them--we had them at school, but never at home. I loved reading them during silent reading time. I think I found a unicorn one for Juliet. Can't remember what the name is, but I"m almost certain it was from this series. Morgan! There was Morgan Morning, Morgan and Me, and Morgan and Yew. I remember having Jake O'Shaughnessy read aloud to our class in second grade. It made me anxious. These were MY BOOKS. I did not own Jake O'Shaughnessy! How dare this other parent come in here to read one of my favorite series title to us! I had an irrational sense of ownership. Silly me. OH JULIA IS GOING TO LOSE IT WHEN SHE SEES THIS VIDEO!!!!!!!!!! yes hurray for Serendipity!!!!!! These are my favorites: Search for Saveapotamus (not sure why, but it was my fav), Morgan & Me, and The Muffin Muncher one. I found some used ones IN HARDCOVER at my local used bookstore!! I don't remember the Saveapotamus. As much I would have hated to admit it as a child, I never did get to read all of the books. I know the Morgan books and The Muffin Muncher. I should think they should be easier to find in your neck of the woods. Both Cosgrove and James are from Washington State! :o) Congrats on finding hardcovers! Yeah, I was especially excited for you to see the video. It was mentioned on the Wikipedia entry for the series, so of course, I had to hunt for it! Oh my goodness! 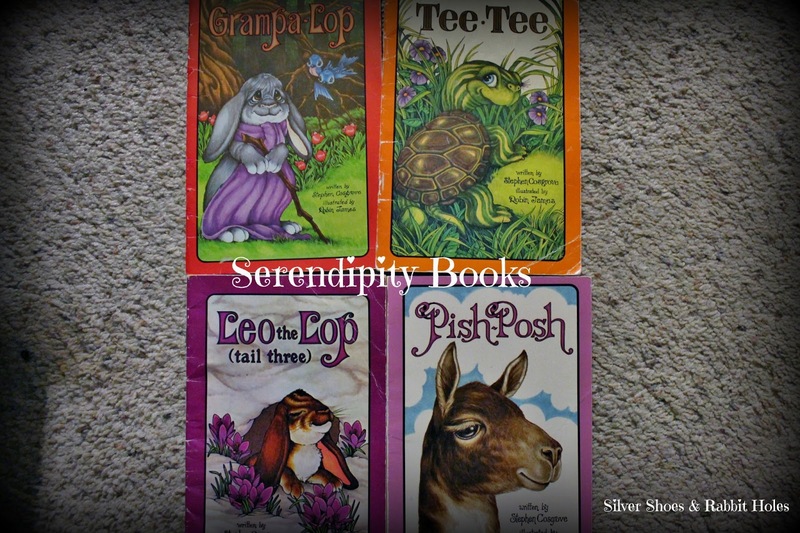 I totally forgot about these books until I read your post! Thanks for a trip down memory lane! Yay, you're welcome, Amy! These books make me smile.